General Motors Co. (GM) agreed to pay $900 million in a settlement with the U.S. Justice Department after an 18-month criminal investigation into the auto makers handling of a faulty ignition switch, which has been connected to at least 124 deaths and 275 injuries. GM was charged with wire fraud and engagement in a scheme to conceal a deadly defect from regulators and consumers. In addition to the fine, the auto maker signed a deferred prosecution agreement. If the company pays the fine, continues to cooperate with regulators and submits to independent monitoring over the next three years, both the charges and the case will be dismissed. The auto maker also announced today a settlement in a class action lawsuit that included about 1,400 victims of the faulty switch. The amount of the settlement was not disclosed, but the company has said it set aside $575 million to cover charges in the criminal and civil cases. Earlier this year, a $625 million fund set aside by GM to compensate victims(http://www.edwardslawok.com/blog/gm-ignition-switch-deaths.html) of the faulty ignition switch identified 124 deaths and 275 injuries that were linked to the defect. The surviving family of those who died should receive at least $1 million. The company also already agreed to pay the maximum fine of $35 million for not notifying federal regulators about the problem within the appropriate amount of time. Investigations determined that GM employees knew about the faulty switch for more than a decade(http://www.edwardslawok.com/blog/details-emerge-on-how-gm-handled-the-defective-ignition-switch-recall.html) and attempted to hide the problem from regulators and consumers. 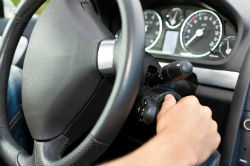 The ignition switch was found to move into the off position unintentionally, which would disable important safety features like airbags, power steering and brakes. If you are injured as a result of a faulty product, do not hesitate to contact the defective product attorneys at The Edwards Law Firm who are dedicated to holding negligent companies accountable for their actions.